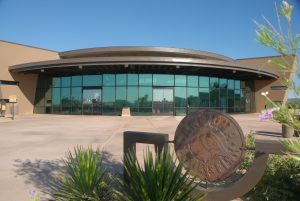 PHOENIX — The Office of Gov. Doug Ducey is currently accepting applications for the Arizona Game and Fish Commission. Applications must be received or postmarked no later than 5 p.m. (Arizona time) Monday, Oct. 1, 2018. Applications received or postmarked after the deadline will not be considered. The Governor’s Office is seeking applicants who are well-informed and passionate about Arizona wildlife and its long-term conservation. In accordance with Arizona law, the Game and Fish Commission is required to be politically balanced (i.e., no more than three members can be members of the same political party) and representative of all 15 counties (i.e., no two members can be residents of the same county). Therefore, this Commission vacancy is NOT available to registered residents of Apache, Maricopa, Pima, or Santa Cruz counties. Residents of any political affiliation from all other counties – Cochise, Coconino, Gila, Graham, Greenlee, La Paz, Mohave, Navajo, Pinal, Yavapai and Yuma – are eligible and encouraged to apply. Interested individuals may apply online. For further information about the Arizona Game and Fish Commission and its mission, visit https://www.azgfd.com/Agency/Commission. Individuals also may contact the Governor’s Office of Boards and Commissions at (602) 542-2449.